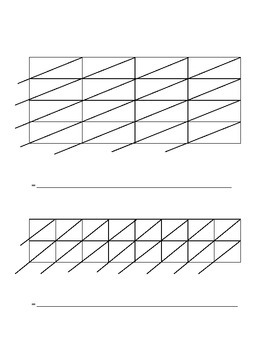 Do your students love multiplying with the lattice method? Well if your students are anything like mine, they wanted some extreme lattice problems to do for fun. 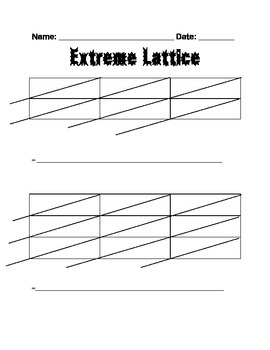 Here is an extreme lattice template. You can fill in any numbers you choose. That way you can use this template over and over again. These pages offer 3x2 digit, 3x3 digit, 4x4 digit, and an 8x2 digit problem.